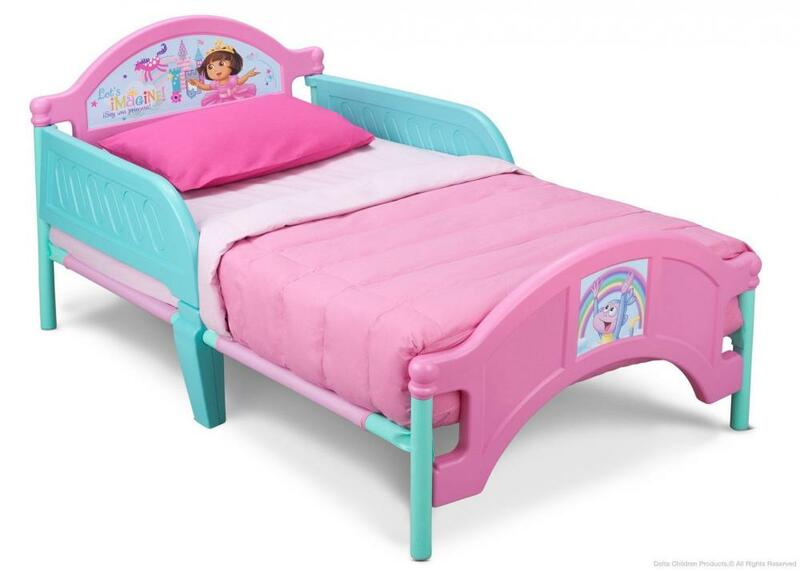 This adorable brand Dora Toddler bed is the ideal bed to transition your little girl from crib to big girl bed. 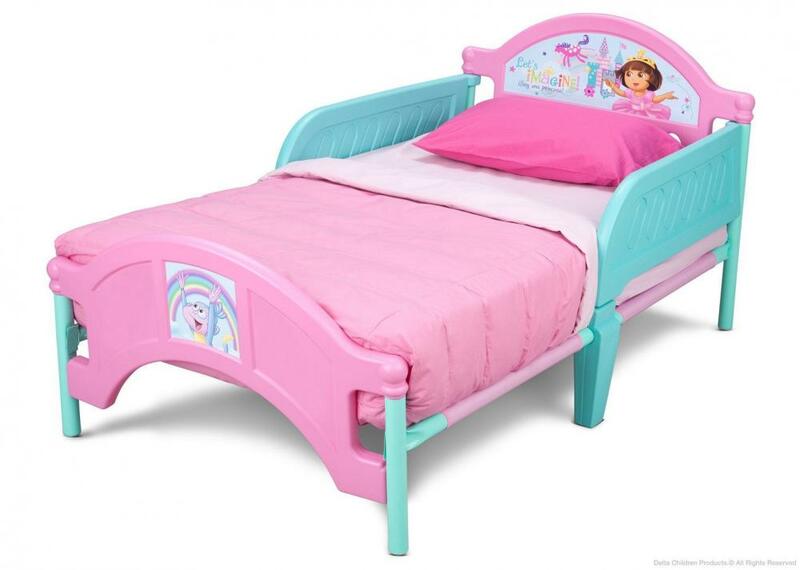 Constructed with a high quality plastic and a metal frame, the bed is both lightweight and sturdy providing safe sleeping and exceptional durability. The Dora Bed features an elegant Dora design making every night's sleep a beautiful dream. Meets all JPMA safety requirements. Some assembly required. Compliments other Dora items sold separately.